Bring a large pot of water to a boil and carefully add the eggs. Boil for 6 minutes, turn off heat, cover and continue cooking in the pot for 6 minutes. Drain water and add to a bowl of ice water to cool. 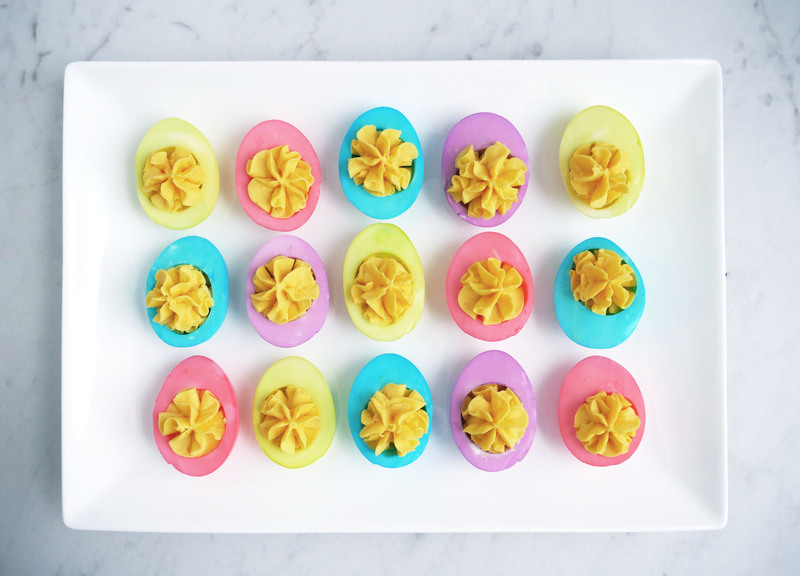 One completely cooled, peel the eggs, cut in half lengthwise, and separate egg whites from yolks. In a medium bowl, combine egg yolks, mayonnaise and mustard. Whisk by hand or with a hand mixer until smooth. 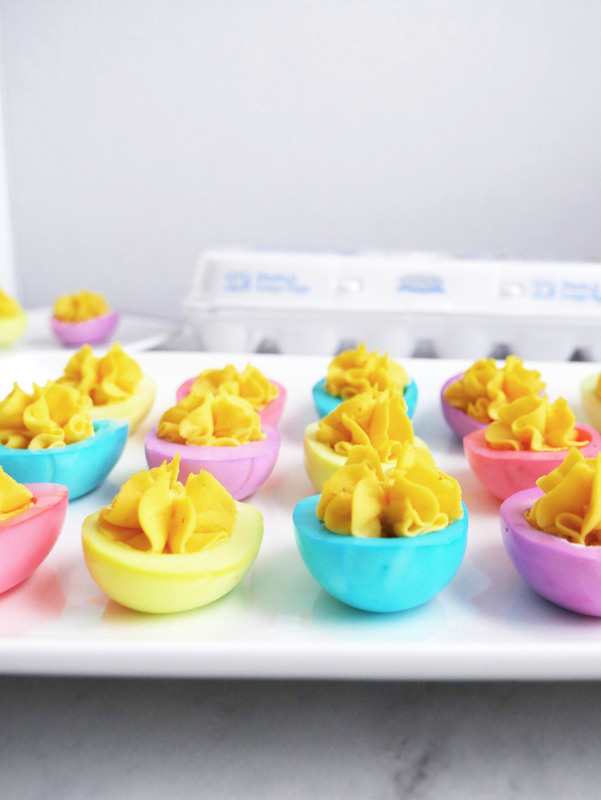 Set aside in the refrigerator while you prepare the yolks. 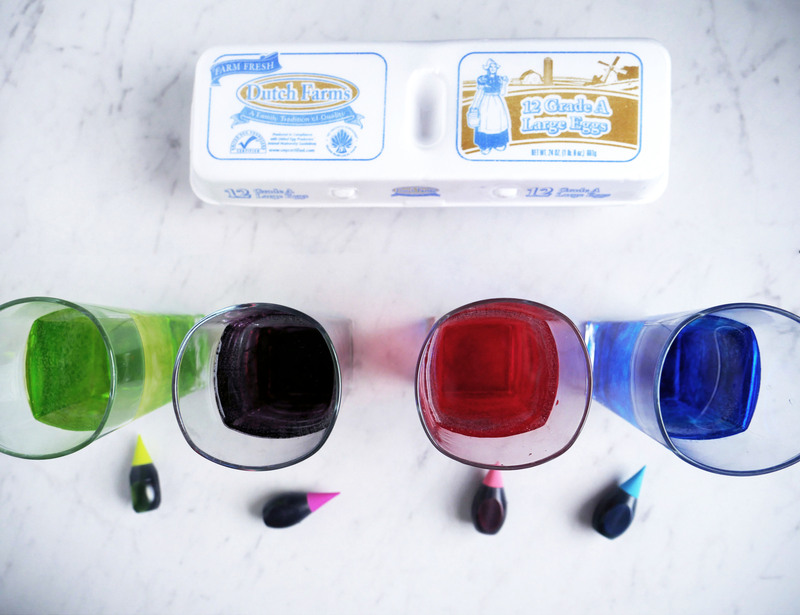 For each food coloring color, in a large glass or mug, fill 2/3 full, add 3-5 drops of food coloring and 1 tsp vinegar. 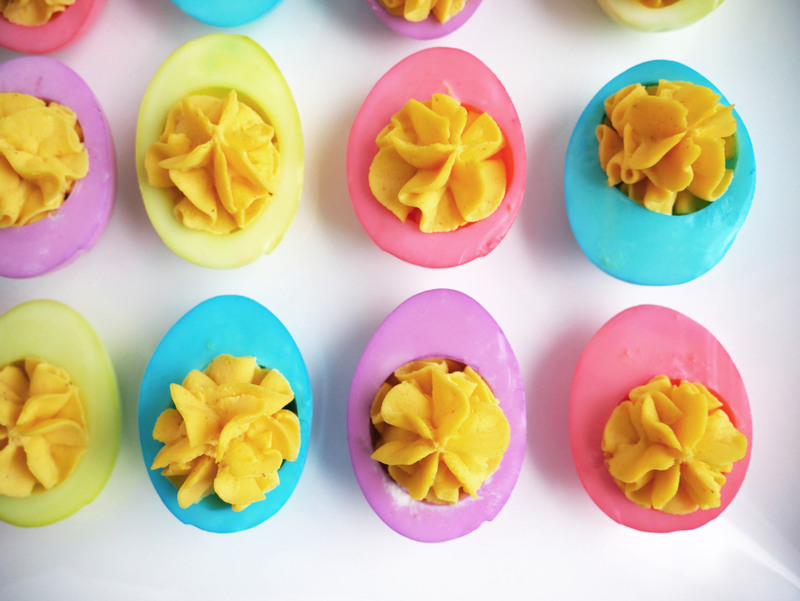 Add 3 – 5 egg whites and allow to sit in the coloring for 10 -20 minutes: check occasionally and pull out the egg whites when they reach the desired coloring. Place egg whites on a paper towel-lined plate to dry. 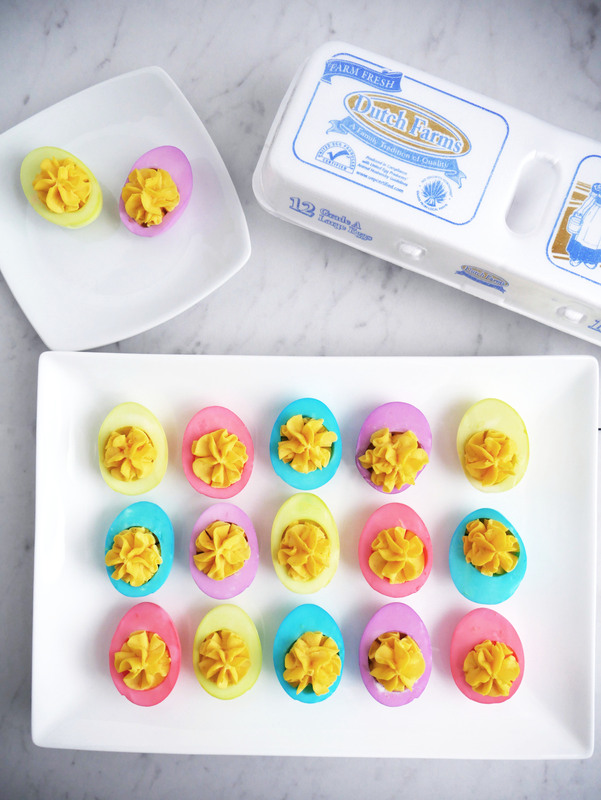 To pipe yolk mixture in to the egg whites, use a pastry bag with an open star tip to gently pipe the yolks into the whites for perfect deviled eggs!